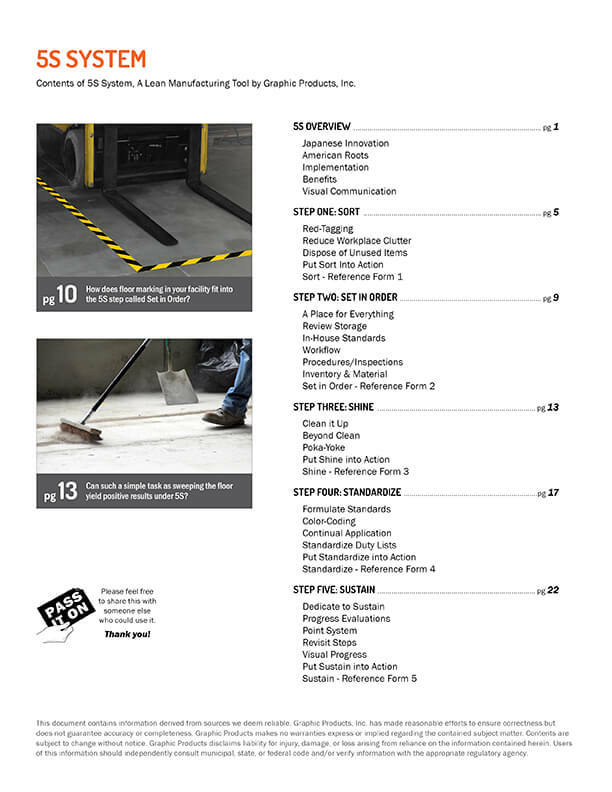 This full-color, 28-page guide is an essential 5S reference for improving workplace efficiency. Learn every step of the 5S philosophy, and get started on each with the included worksheets. When you’re used to the way things are done, it’s harder to see the flaws. 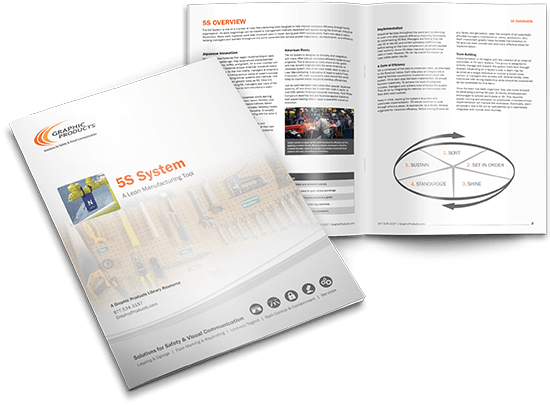 5S is a five-step organizational system that will help remove downtime and defects from your system. 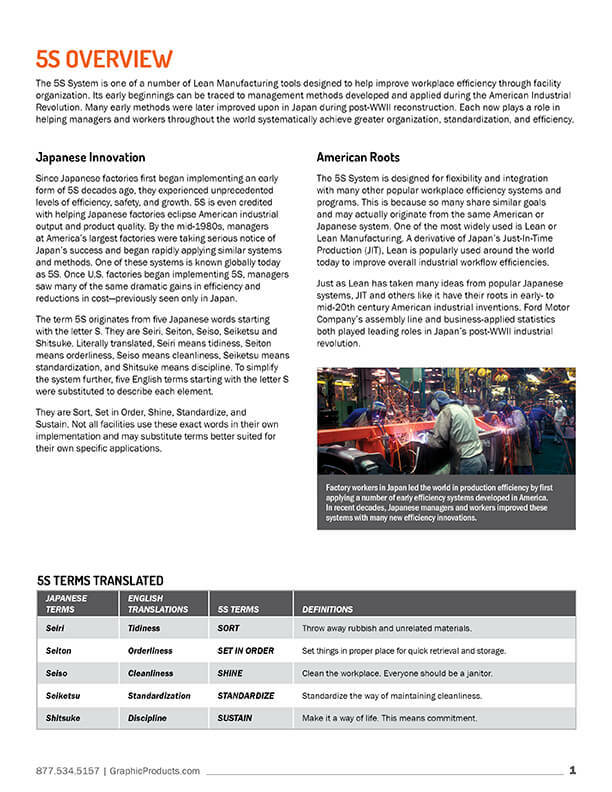 This guide explains what 5S is and how it works. It describes how to apply 5S to your workplace in a short period of time. This book is yours free. Complete the form to download your FREE comprehensive guide.